Role-Playing Game Mastering is one of the most cited examples of “ordinary life Interactive Storytelling” in scientific literature. There are some computer interfaces for game mastering, but most of them are designed as part of the toolkits that are used to control low-level events of specific videogame engines. 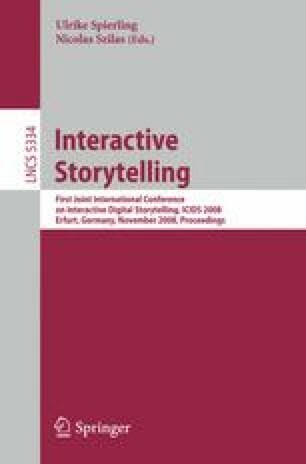 In this paper a more abstract application has been developed, an intelligent graphic interface that allows human Game Masters to direct stories in virtual environments from a more comfortable and narration-oriented point of view.